When I was asked by a mate to make another cab like the one I made to go with my Ceriatone OTS I decided to run off three whilst I had the router set up to do the dovetails. 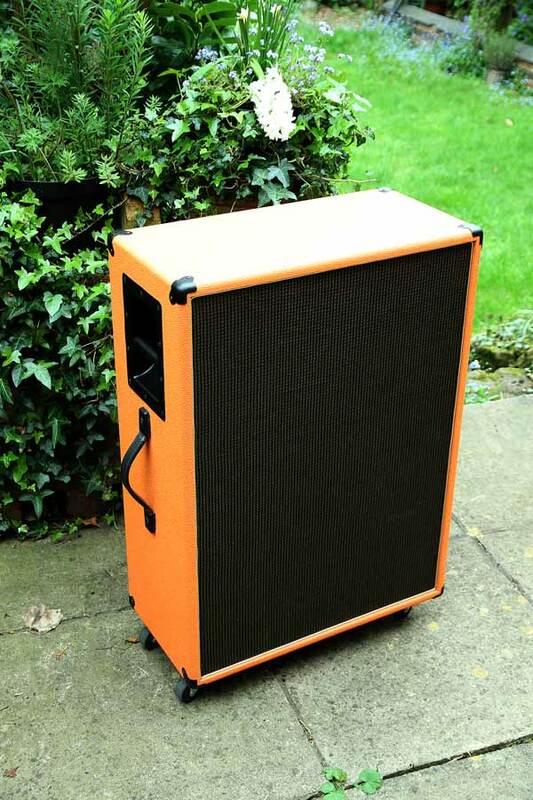 My mate wants another for his studio (the first one was orange, see pic below) but I have another shell that I can let go. 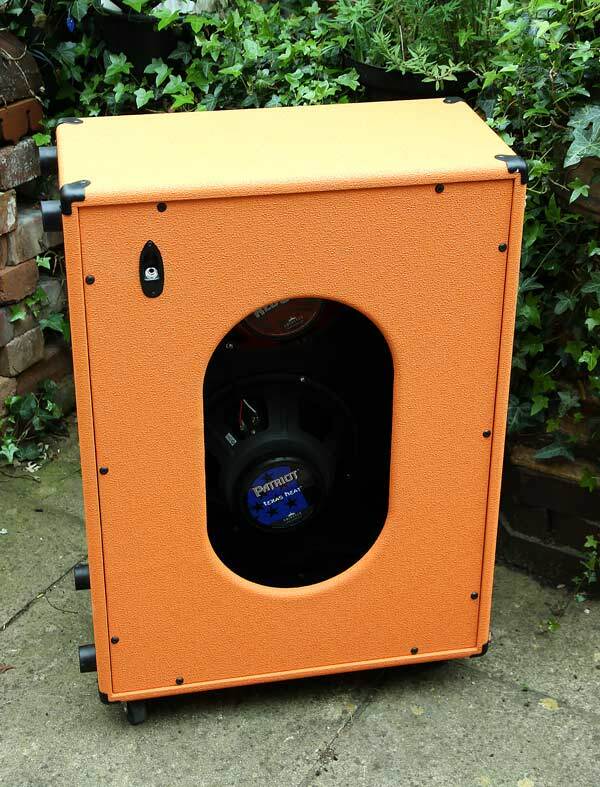 So, if someone fancies a project, the shell needs covering with tolex (I have some DrZ Red and some orange left over) and fitting out with corners, handle, grille cloth, piping, a jack plate and of course speakers. I have lots of hardware spare that I no longer need so I can sell the parts to finish it off as well . Finished I charged my mate £230. Looking for £120 for the shell as it is. Hardware parts you can have at cost. There is no work to do on the shell, other than cut a hole for the jackplate, and drill pilot holes for the backplate screws, it is ready to be covered and fitted out. Made from 18mm baltic birch ply, dovetail jointed and fitted with baffle and backplate battens, screwed and glued. 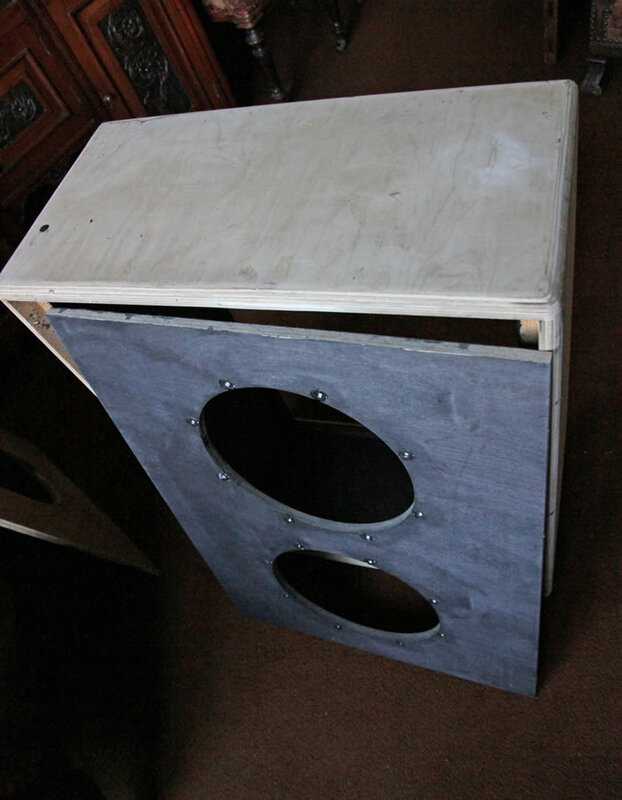 Blacked out inside and on the outer face of the baffle (so no wood showing through a light weight grille cloth) 8 recessed tee nuts fitted to each speaker hole to give lots of flexibility for mounting speakers. All Exposed edges rounded over. Cab edges rounded over with , IIRC, a 16mm radius ovolo cutter to match the radius of standard metal corners. The 12mm ply backplate is radiused 12mm or thereabouts. The baffle is sized to allow both grille cloth to be fitted and tadpole piping around the edge. 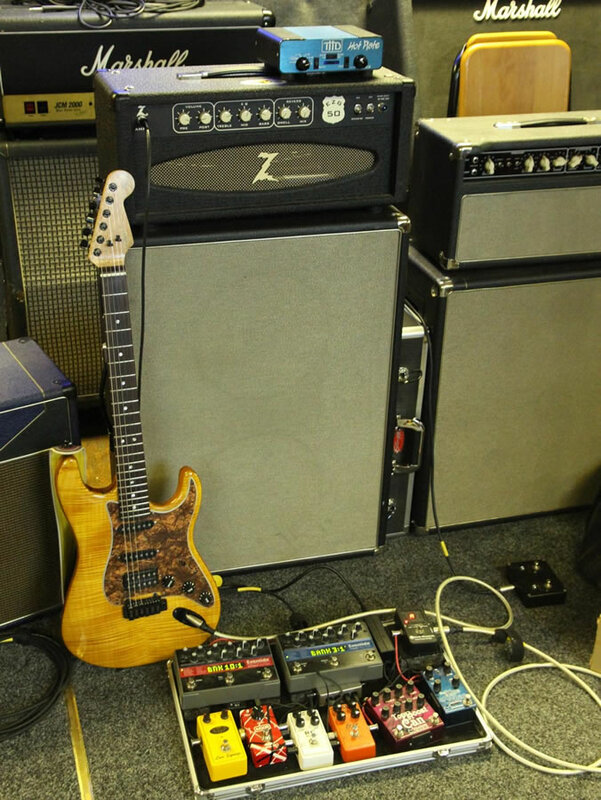 More photos here including some I took whilst I was building the cabs. Collection only from Nottingham, or could travel to meet up at sensible distance.